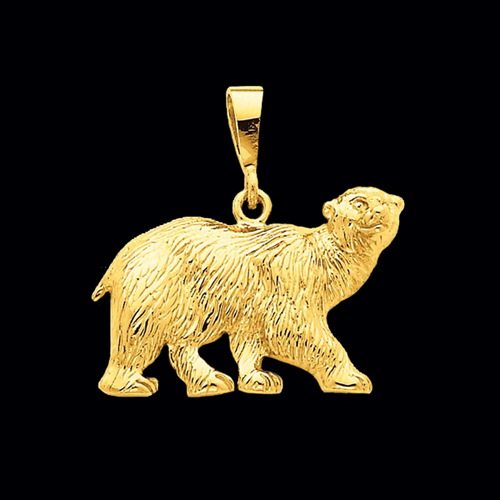 14k yellow gold Polar bear pendant. 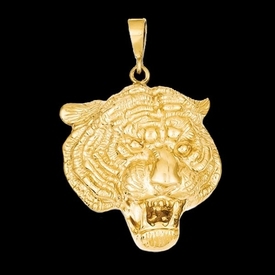 This big bear may be a man eater in white but in gold, he's a cute little cuddler. He measures 27.5mm across and weighs 3.51grams. Pendant has a textured finish. 14k yellow gold Cheetah pendant charm. 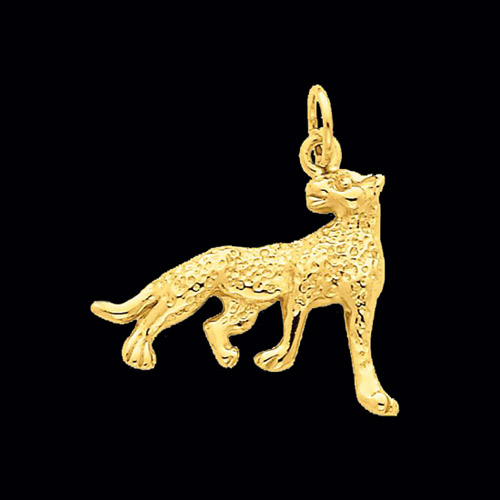 This beautiful Cheetah measures 22mm and weighs about 2 grams. 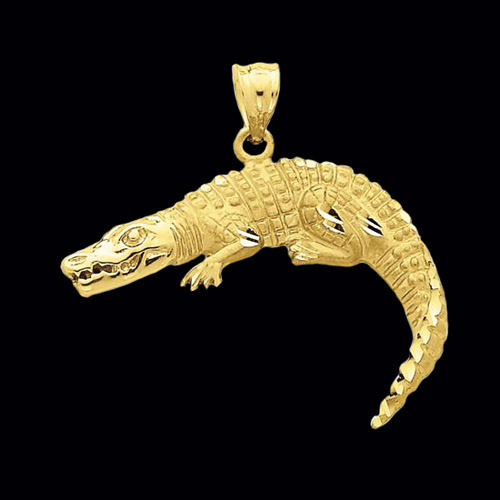 This pendant features a textured and polish finish. Adorable 14k yellow gold Butterfly pendant charm will flutter it's way into your heart. 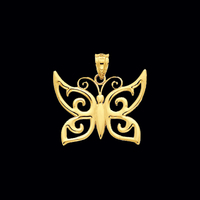 Butterfly charm measures aprox. 24mm from top to bottom and weighs around 1.49grams. Gold pendant has a textured back and a polished finish on the front. 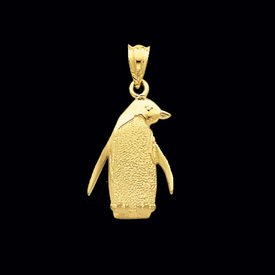 Adorable 14k yellow gold Penguin pendant charm, although he lives in the ice, he'll warm your heart. Penguin charm measures approx. 27mm from top to bottom and weighs around 2.49grams. 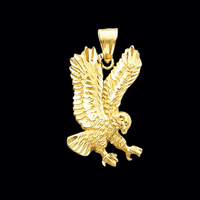 Gold pendant is a casted piece with an open back and a matte and polish combination finish giving this bird extra charm. 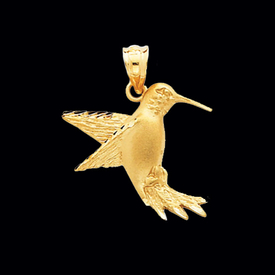 Adorable 14k yellow gold Hummingbird pendant charm will flutter it's way into your heart. Bird charm measures aprox. 24mm from top to bottom and weighs around 2.28grams. 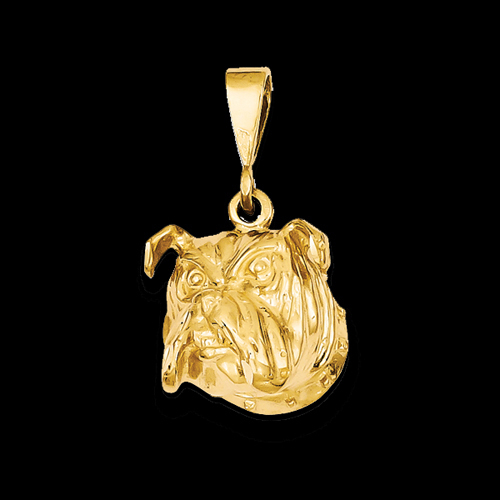 Gold pendant is a casted piece with an open back and a satin and polish combination finish. 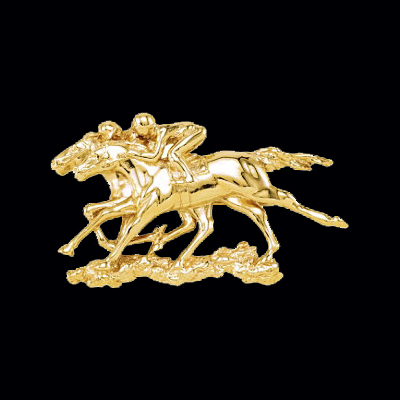 Beautiful 14k yellow or white gold standard Trotter horse. 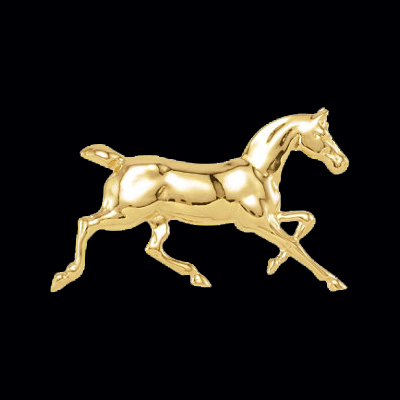 This lovely horse pendant copies a standard bred trotter with perfectly trimmed mane and tail in full stride. Pendant weighs 4.3grams. A very nice pendant for the horse lover in you or a great gift. 14k Gold Turkey Pendant. A Great Thanksgiving Holiday pendant. 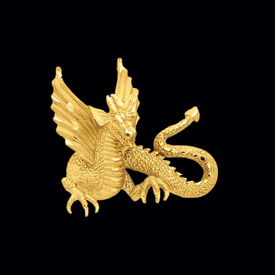 Weighs 2.5grams, measures 20mm in length by 17mm across. 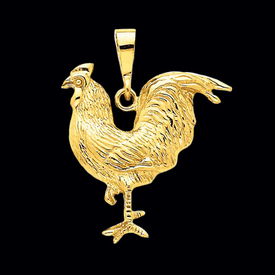 (25mm - 1 inch) Order this gold turkey in 14k Yellow or White gold. Gold Polar Bear pendant. 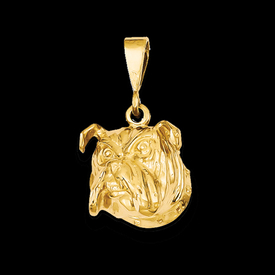 This cool pendant measures 24mm across by 14mm from top to bottom. Pendant weighs 3.8grams. 14K Gold Dolphin pendant. 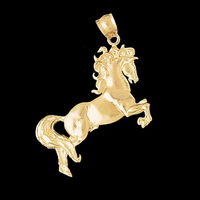 Adorable design female and young dolphin pendant is sure to be a hit. Measures aprox. 33mm in length and weighs 7.5grams. 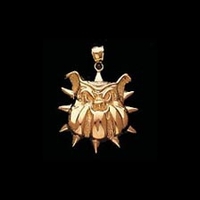 A Bold Pendant.